As a name found across Ireland and the globe, many Doyles have risen to prominence in many fields of activity – Business, the Arts,Politics and sport. But, don’t forget the many Doyles who have contributed to the daily life and businesses of many towns and the countryside. Check out a phone directory for the south east of Ireland – Wexford, Waterford, Wicklow, Carlow and Kilkenny and see the many Doyles around these areas to understand the importance of the Doyle clan to the local economy. Jack Doyle 1913-1978 was a boxer and known as the ‘Gorgeous Gael’. He was born in Cobh, Co Cork. He joined the Irish Guards and soon made a name for himself as an army boxer. His talent was noticed by Dan Sullivan who trained him to be a professional heavyweight boxer. His good looks, tenor voice and charming manners brought him fame, some fortune and parts in movies. He married Movita, a movie star; Unfortunately, due to his drinking habit, his fortune dwindled. He died penniless in London and is buried in Cobh. Kevin Doyle is a footballer who was born in the Doyle heartland of Co. Wexford. His football career began with the Irish St Patrick’s Athletic and Cork City clubs; he moved to Reading in 2005 and currently plays with Wolverhampton Wanderers in England. Doyle also plays for the Republic of Ireland International team where he has scored several goals. Mick Doyle was a legend of Irish Rugby. He was born in Castleisland, Co. Kerry and played rugby from a young age. He made his debut as an Irish international player against France in 1965.He was known as Doyler and obtained 20 caps for Ireland in his International career. He took up coaching in the 1970s and coached the Ireland team for the 1984-1985 season. The team won the Triple Crown and the Five Nations Championship under his management. He suffered heart problems in 1987 and died in a car crash in 2004. 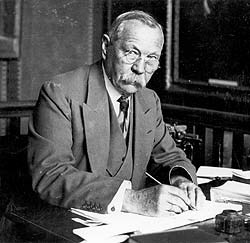 Born in Scotland of a Doyle father and an Irish mother, Sir Arthur Conan Doyle is best known as the creator of the inscrutable detective Sherlock Holmes and his sidekick Dr Watson. He was a qualified medical doctor and used this background in his writing. Sir Arthur was a descendant of John Doyle (1797 – 1868) who studied art in Dublin and then moved to London where he made a name for himself as a political cartoonist. His son Charles was Sir Arthur’s father and was known as a talented illustrator. Roddy Doyle is a well-known author. Born in Dublin, Roddy worked as a teacher for a number of years before becoming a fulltime writer. His novels and plays are based on the earthy world of North Dublin – a mixture of comedy and drama, they present a realistic picture of Dublin in the latter part of the 20th century. The Commitments , The Snapper and The Van have been made into movies. Paddy Clarke H, Ha, Ha won him the Booker Prize in 1993. 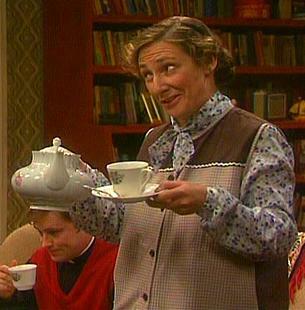 Mrs Doyle, played by actor Pauline McLynn, is a fictional Doyle who has gained celebrity status as a character in the Father Ted television series. Perhaps , she is a typical Doyle mammy, looking after her flock. In this case the flock is three priests whose behaviour has to be seen to be believed. It’s no wonder they chose the name Doyle for this long suffering character. No one else would have the fortitude to survive life in the Parish House on Craggy Island. Alexander Doyle was born in Ohio to a family involved in the quarrying business. He moved to Italy where he studied sculpture in Carrera, Rome and Florence. He worked in marble and bronze and made a successful career as a sculptor with a particular interest in creating public monuments including Civil War heroes. His success was based on sound business principles of fulfilling the orders as required and delivering the work on time. It is said that one fifth of the monuments in the country in 1922, when he died, had been produced by Alexander. Can you find an Alexander Doyle created monument near you? Doyle's "Confederate Soldier" (1885); in background Doyle's equestrian statue of General Albert Sidney Johnston, Metairie Cemetery, New Orleans. The Doyle hotel group was started by PV Doyle in 1964 with the Montrose Hotel in Dublin. It now has premises across Ireland, the UK and USA. It operates in the luxury market and seeks to follow the vision of its founder – PV Doyle. He aimed to establish hotels which had a reputation for excellent service and hospitality. Anne Doyle, a Ferns, Co.Wexford native made the short journey to Dublin to study in the 1970s. She eventually developed a 33 year career in broadcasting with RTE, the National Television and Radio station. Anne was one of the best known faces on Irish Television as a newscaster from 1978 to 2011. She delivered good and bad news throughout those years, which included many horrific events, in a professional and dedicated manner. Her retirement in 2011 was lamented by people across the country. 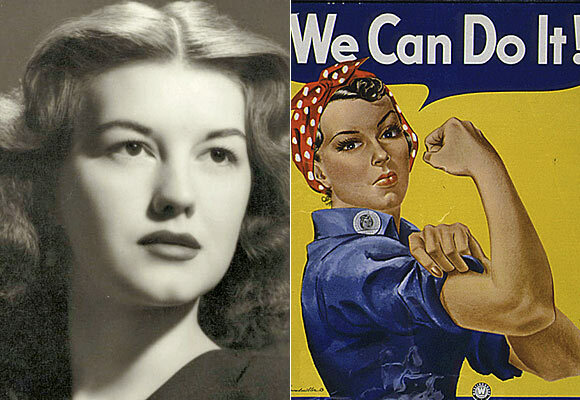 Geraldine Doyle’s claim to fame was that she was the person on whom the ‘We can do it’ poster of WW11 was based. As a 17 year old, she worked in a metal factory. A photograph of her at work wearing the red polka dotted bandana was used as the inspiration for the poster. James Warren Doyle was known as JKL, James, Bishop of Kildare and Leighlin. He was born in New Ross, Co. Wexford. His early clerical studies took place in Coimbra, Portugal where he became involved in the war between Napoleon and Wellington – acting as an interpreter. He completed his clerical studies in Carlow College. Although a stern taskmaster,his wide knowledge and clever mind made him a favourite with students. He wrote with passion on the state of Ireland and the church and died at the young age of 48- from overwork, it is claimed. His accomplishments include building schools and Carlow Cathedral. Avril Doyle was born into Dublin political family, the Beltons. She took the name Doyle on her marriage to Wexford man Fred Doyle. Avril rose through the ranks of the Fine Gael political party to become a TD (member of the Irish parliament) for Wexford in 1982. 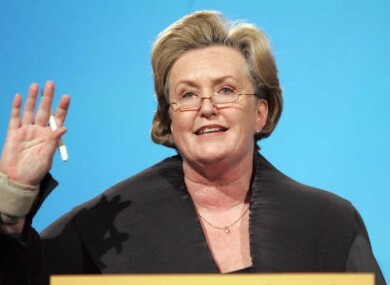 She was a member of the European Parliament for Leinster and the East regions from 1999 to 2009.